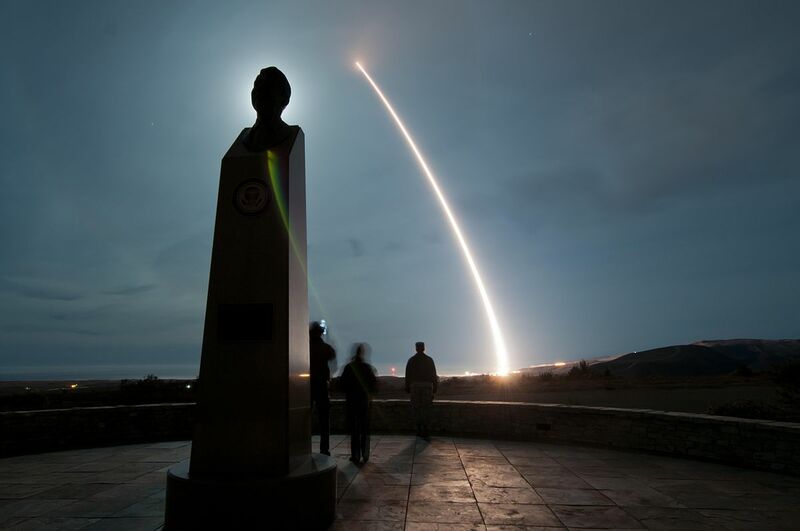 The U.S. Air Force released test-launched an unarmed Minuteman III missile Feb. 25 in order to test the reliability of the Cold War-era, nuclear-capable weapons. The Minuteman III is an intercontinental ballistic missile capable of carrying nuclear warheads. "This is the second ICBM launch from Vandenberg Air Force Base in the past 5 days and while it may seem routine, a tremendous amount of effort is required to safely assess the current performance and validate the security of the nation's fielded ICBM force," said Col. J. Christopher Moss, 30th Space Wing commander. "Our teams are made of dedicated Airmen who make a difference for the Air Force and the nation and I am proud to be a part of this team." The tested missile flew 4,000 miles over the Pacific to a test area in the Marshall Islands which opened up speculation that the missile test may have been a reminder to North Korea that the U.S. can hit it at any time. 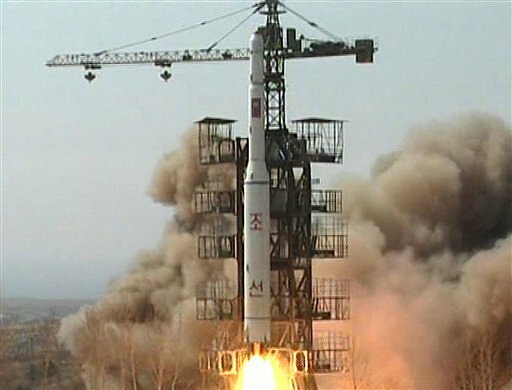 North Korea recently launched a failed satellite that some say was a camouflaged test of its own ballistic missiles and a threat to the U.S.
Deputy Defense Secretary Robert Work said the test was necessary to remind rival nations that the aging U.S. nuclear missiles are still very capable, but he didn't mention North Korea. "We and the Russians and the Chinese routinely do test shots to prove that the operational missiles that we have are reliable," he told journalists at the launch. "And that is a signal ... that we are prepared to use nuclear weapons in defense of our country if necessary." Each Minuteman III missile can carry up to three nuclear warheads which each strike different targets. Each warhead packs a 300-500 kiloton yield, about 20-33 times the strength of the bomb that struck Hiroshima. The missile tested Feb. 25 carried a test version of the re-entry vehicles which steer nuclear warheads. The Air Force has had to reduce its number of ICBMs to meet the requirements of the New START treaty which caps the number at 400 armed missiles and 50 unarmed reserves. 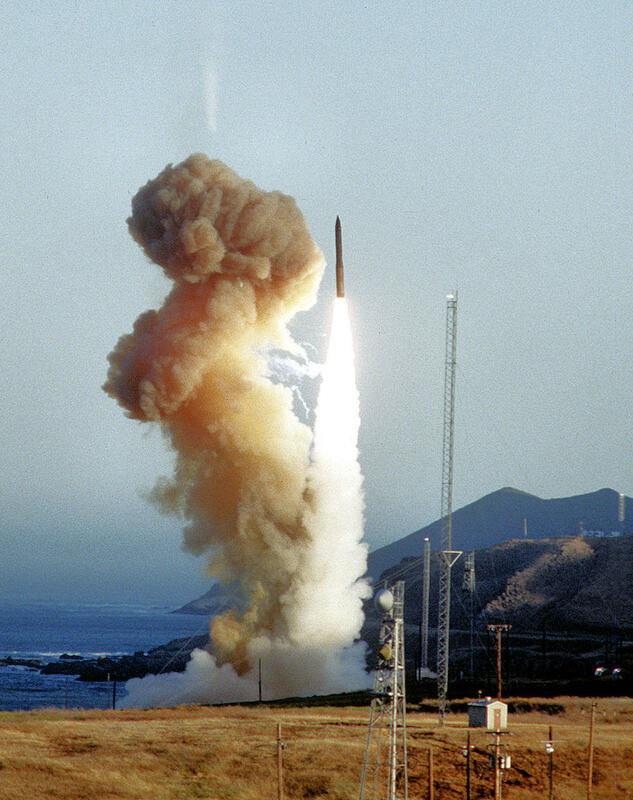 The Minuteman III missile is the only U.S. land-based ICBM currently in service.